With Degree Show Two: Design now open, we take a closer look at their final projects and the inspirations behind them. MA Innovation Management student Patrick Bek’s research is concerned with the practice of design for positive social change. His work challenges the popularity of organisations that engage in design for social innovation, proposing that methods such as human-centred design are too often limited by market-led doctrines. Bek proposes that systemic social problems require a shift away from the focus on individual entrepreneurs, innovators and ventures. Instead, by employing new methods rooted in dissensus, innovation managers can cultivate alternative social entities that challenge our understanding of their organisation and output. Bek’s work resulted in a new potential model of design for social change, called Generative Social Design. Here, he talks us through five steps of his research which helped him formulate the model. 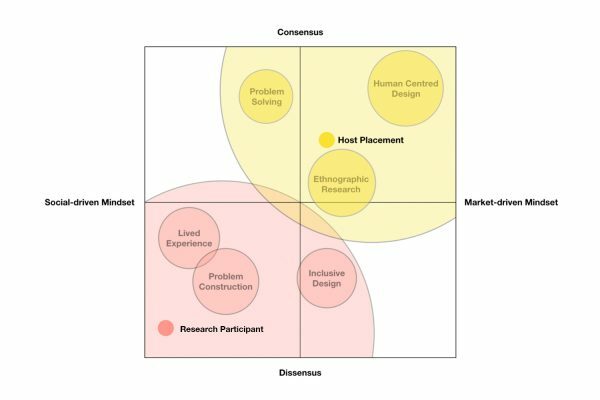 My research question asked how dissensus can be harnessed in design in order for social innovation organisations to increase the positive impact of their output, and allow for diversity to bring about social change. To investigate, it was necessary to take the view that contestation and dissensus are fundamental to democratic society and that any innovation creates transformational changes to wider social life—therefore all innovation practice is inherently political. The findings suggested that the closer design for social change methodologies are aligned with a market-driven mindset, the less likely they are to engage with dissensus and the more likely they are to create incremental innovations that, “lie within the range of existing ways of thinking and doing” (Design, When Everybody Designs, Ezio Manzini, 2015, p.57). Conversely, the closer that methodologies are aligned with a social-driven mindset, the more likely they are to engage with dissensus and the more likely they are to create radical innovations that empower communities and shape behaviours towards new ways of living. This shows that there is an opportunity for organisations to harness dissensus to positively affect their social innovation output towards radical new ideas. Chief Executive of the National Endowment for Science Technology and the Arts (NESTA) Geoff Mulgan defined social innovation as “new ideas that work…motivated by the goal of meeting a social need.” So, it was important to understand the way ideation happens in design for social change organisations. Qualitative observations showed that ideation often occurs in consensus-dependant scenarios and such methods left little room for the type of critical inquiry that Roberto Verganti has shown can be a potent way to create meaningful innovation. 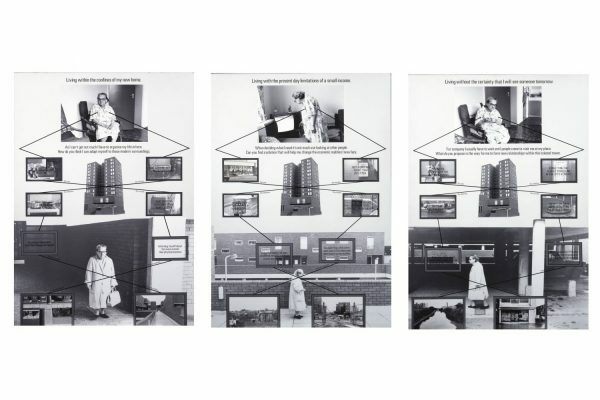 In addition, an almost total reliance on user-centred design methodologies did not allow for the questioning, challenging and reframing of the social—in which users exist. In social design environments driven by consensus, there was little evidence of synthetic, associative thinking and intuitive decision making or the “serendipitous, messy and exploratory activities” advocated by Professor Lucy Kimbell as a way to create concepts, that break us from our world of habits and force us to think. In contrast, within the arts, approaches to social change are rich in lived experience and associative intuition. Artistic process calls its audience into being and is actively involved in how social problems are framed and shared. Artists working for social change use their audiences’ world of references to direct attention to a given view, but the audience is left to examine the meaning of that view and search for new meaning, and so reimagine aspects of a contemporary lifestyle. Artists’ work can be viewed as a “critical force” that distances our thoughts from predominant and preexisting consensus. Often, they act as a trojan horse, forcing change from within, uploading responsibility for problems away from users and back onto organisations that have the power to address them. Change that is seeded through occupation and performance is radical, democratised innovation that embraces the condition of dissensus, often made locally by marginalised groups. This is a process focused on impact over novelty, it can expose hegemony and seed change into the heart of organisations. 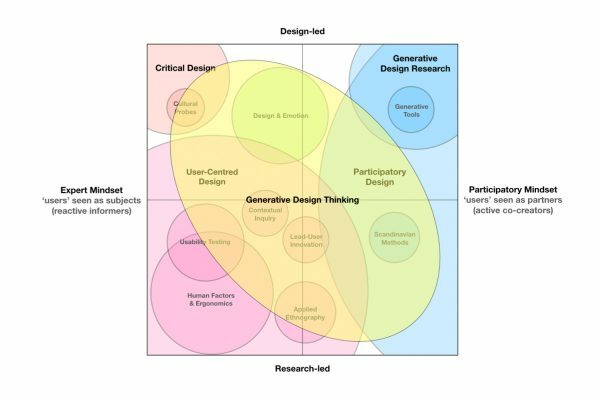 Generative design thinking is an approach drawn from literature in the field of design, as well as management, innovation, sociology, philosophy and the arts. It honours the usefulness of contrasting approaches in fostering social change. It connects them together in order for innovation managers to utilise an alternative framework that increases potential for radical innovation in a design for social change project. The basis of the proposal is the term generative—a word that is used here to bridge two types of activity: one of which is considered generative and the other is considered productive. The research showed that generative processes are closely aligned with the work of socially engaged arts-based practitioners and productive processes are aligned with design thinking methods used by social design organisations. Disparate disciplines might be bridged by adopting a generative design thinking approach that draws not only from the “designer’s toolkit to integrate the needs of people” (IDEO U, 2018), it integrates objects of encounter found in creative, critical inquiry and invites the problem constructing agonistic methods of Scandinavian participatory design. Generative design thinking can be achieved by adopting a mindset of collective responsibility for positive social change. By thinking in this way there is an opportunity to transform the way design for social change practitioners collaborate by recognising the collective value of seemingly unrelated practices. The Generative Social Design model invites the additive creativity of social-driven arts-based practitioners to design for social change projects – what counts as a problem is understood and shaped rather than identified and solved. Such practitioners are positioned as social agents who work with and for people. Through a process of social inquiry and lived experience, they create concept seeds that are untethered from formal design knowledge. These seeds are then formalised and developed through the evolutionary productive process and expertise of professional design teams. The learn-design-create-test methods favoured by human-centred design practitioners create a varied family of designs that are iterated and evaluated against their affect on social barriers identified by social agents. 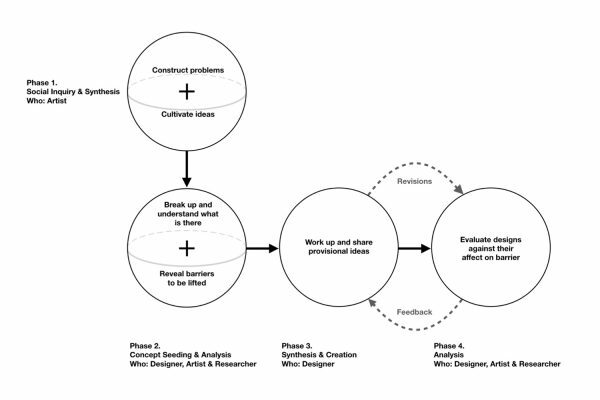 A design process conducted in accordance with the Generative Social Design model engages in public discussion and action, in order to generate democratic social innovation through transdisciplinary collaboration. Its aim is to conceive, develop and connect new possibilities for democracy and well-being.